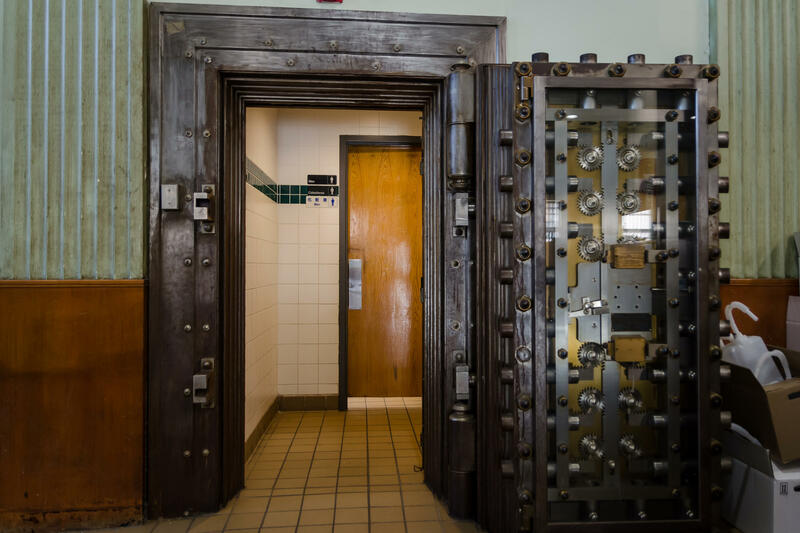 Students walk down a hallway of Lift for Life Academy, which includes an old bank vault door. The charter school opened in the former Manufacturer's Bank and Trust Company building in Kosciusko, an industrial neighbhood on St. Louis' south side, in 2000. “That part of the journey, that part of the puzzle, is the real snag for charter schools,” Keuss said. Missouri offers no help for charter schools to find a place to open their independent public schools. It's part of what's lead charters to turn to unconventional schoolhouses. Tessera Hall was one of two charter schools with plans to open their doors in 2016 that have folded because founders could not find suitable space to host their school. Charters that have opened spent more time or money on space than initially planned for. Founders and advocates say it’s a headwind to opening more public school options in St. Louis. Charter schools are public and receive government funds to operate independently from traditional school districts. But in Missouri, they receive no startup funding or access to available school buildings. Tessera Hall’s founders cast a net on real estate throughout south St. Louis for a spot for the new school after the order of sisters that owned St. Elizabeth’s sold the building. Former public schools were too large and expensive. Other spaces were the right size to start but didn’t have room to expand as grade level are added. The group got very close to purchasing an old grocery store on South Grand Boulevard that had room to grow into, but Keuss said the deal fell apart over potential add-on costs. The Webster School building on North 11th Street is closed and for sale by St. Louis Public Schools. Amber Simpson tried to purchase the building to house a charter school but says the deal fell apart. Several other states offer more support to help charters find a home. Both New York and California require traditional districts to supply underused building space to charters. In 12 states, including Colorado, there are grants available to charters to help pay facility costs. Several other states provide additional per-student aid specifically for facility costs. Those opportunities don’t exist in Missouri. Charters lack the bonding authority districts have to take out loans for construction projects. Traditional banks also shy away from charter schools because the banks consider the schools too risky. A handful of St. Louis charters received loans from IFF, a lending and consulting firm for nonprofits in the Midwest. Even with the cash, buying an old school is challenging. 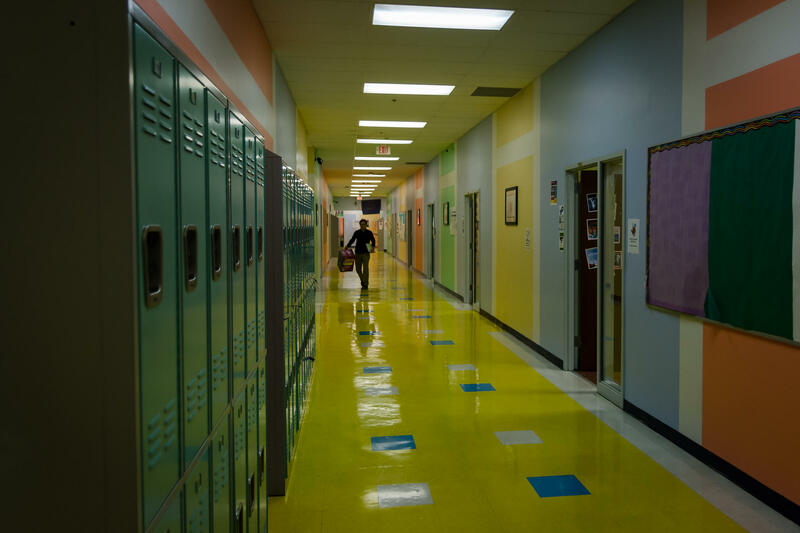 When charter growth was gaining momentum, the governing board of St. Louis Public Schools placed a deed restriction on its empty buildings for what they could be reused for. On the list, along with bars, liquor stores and garbage dumps, was use as a school. Only after pressure from a lawsuit and the state legislature did school district stop enforcing it. “It shows the great lengths that districts will go to to prevent charter schools from accessing empty public school space that the taxpayers have already paid for,” said Todd Ziebarth, a senior vice president at the National Alliance for Public Charter Schools who advises charter schools on funding. Charter school founders and advocates say working with the district to purchase buildings is still difficult and several potential sales or leases by charters never got off the ground after running into resistance. Instead, they’ve sat empty for years. Dozens of former SLPS buildings have been shuttered by the district since 2000 as enrollment dropped and the district tried to save money. Many of these century-old fortresses of public education still stand. Some have been converted to high-end apartments, but the majority are vacant, years of assaults by vandals and looters severely weakening them to a point where the cost of rehabbing them is out of reach of a fledgling charter school. 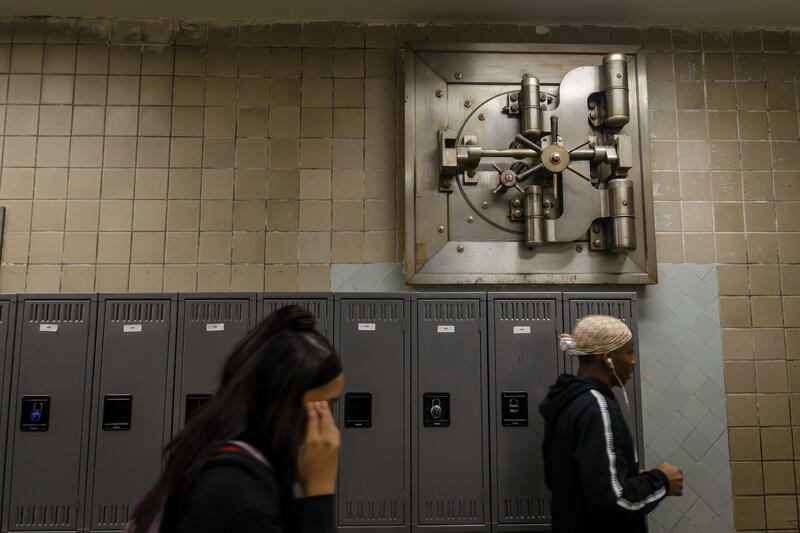 “An awareness has gotten out there that the schools are dilapidated and it’s not an attractive proposition to have to fundraise 4 or 5 million dollars to open your doors when there are other options out there,” said Walker Gaffney, the director of real estate for SLPS. Gateway Science Academy, operated by Concept Schools, spent about $4 million buying an old warehouse in the North Hampton neighborhood to build a middle and high school into. Amber Simpson looked at the closed Webster School in St. Louis’ Old North neighborhood for Vernare Learning, the charter she hoped to open in 2016. She toured the school several times and spoke with administrators but “when it got to that board level, things just seemed to fall apart at every turn,” said Simpson, who was also involved in the founding of St. Louis Language Immersion Schools. In the end, Vernare Learning was not able to open. But it has been done. In 2013 SLPS refurbished two former schools and allowed the KIPP charter network to use them rent free. In exchange, KIPP students’ standardized test scores also count toward SLPS’ performance. Gateway Science Academy purchased a former SLPS building in 2013 for a new campus and spent millions of dollars refurbishing it. That only came after, school leaders alleged, the district slow-walked the process and raised the price. SLPS does not have a policy against renting or selling surplus buildings to charter schools, district spokeswoman Meredith Pierce said, adding the district is open to another partnership similar to its deal with the KIPP schools. 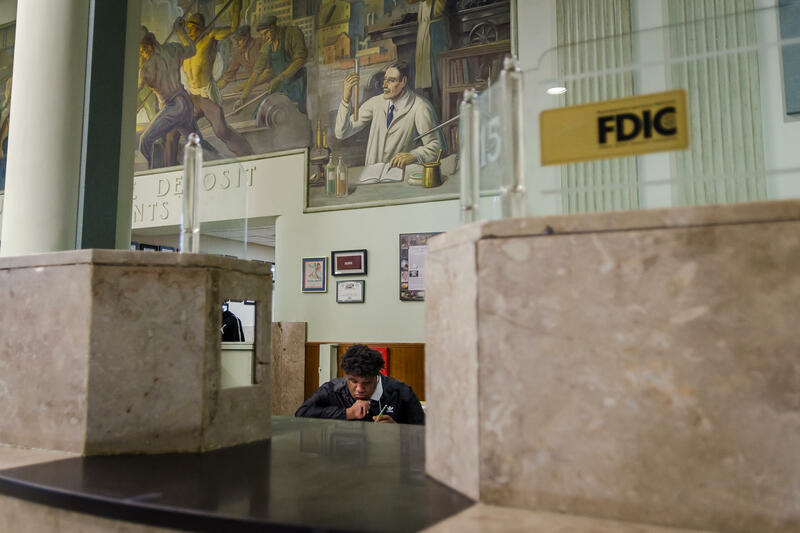 A student at Lift for Life Academy studies in a part of the school that used to be a bank. An area behind the teller windows has been converted to a senior lounge. About 40 percent of the city’s charters turned to shuttered parochial schools, as parish-run Catholic and Lutheran schools in St. Louis have closed or consolidated in large numbers. EAGLE’s four charter schools are all in old Lutheran schools. More than a dozen charter schools have ended up in old industrial warehouses or former office space. City Garden Montessori’s building in Botanical Heights used to produce shopping carts and lamps before turning out educated children. Using commercial space means charter schools go without the amenities typically associated with a school. No football field or gymnasium makes hosting athletic programs a challenge. Last month, Lift for Life Academy held its first home sports game in its 18-year history after raising $1 million to build a gymnasium. 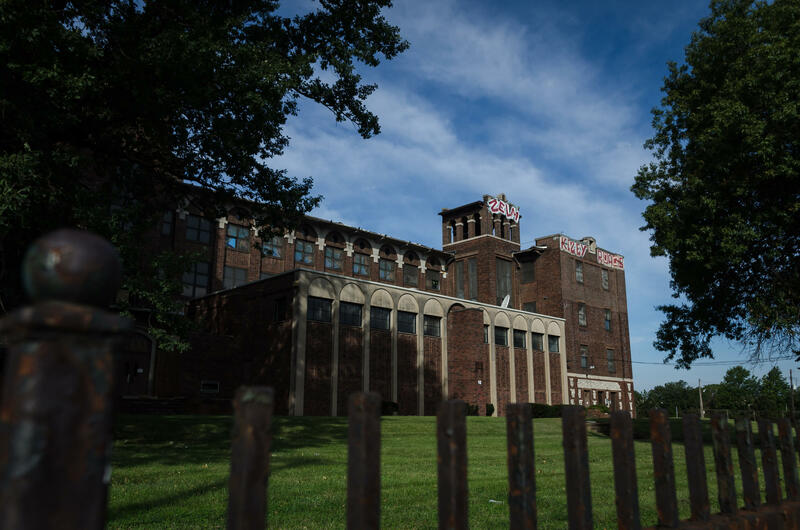 Lift for Life Academy started in the former Manufacturer’s Bank and Trust Company building in Kosciusko, an industrial neighborhood in south St. Louis, in 2000. Students walk past marble teller windows to use restrooms inside the old vault. As the school grew it expanded into former stores across the street. “We look at it as a campus,” said co-founder Marshall Cohen. A new charter school, Kairos Academies, is working to open in the Dutchtown neighborhood next year. Lift for Life Academy built restrooms inside the old vaults of the bank it moved into in 2000. Founders Gavin Schiffres and Jack Krewson said the hunt for a facility started well before it won sponsorship in July. Kairos was aided by their non-traditional school model, which will have an open layout rather than classrooms. “Ultimately that made our search for a building, if anything, a little bit easier because we can consider a wider variety of space options that aren’t set up in these siloed classrooms,” Krewson said. Schiffres and Krewson said they’re close to securing a place but would not disclose the location. They did say it was not a former public school. St. Louis College Preparatory moved into a closed Lutheran school for its first four years, then later purchased a former public school building in Lafayette Square after another charter school, Construction Careers Center closed up shop. After nearly two decades of practices in borrowed space and games far away, Lift for Life Academy held its first home sporting event Wednesday. “This is a huge deal for us. 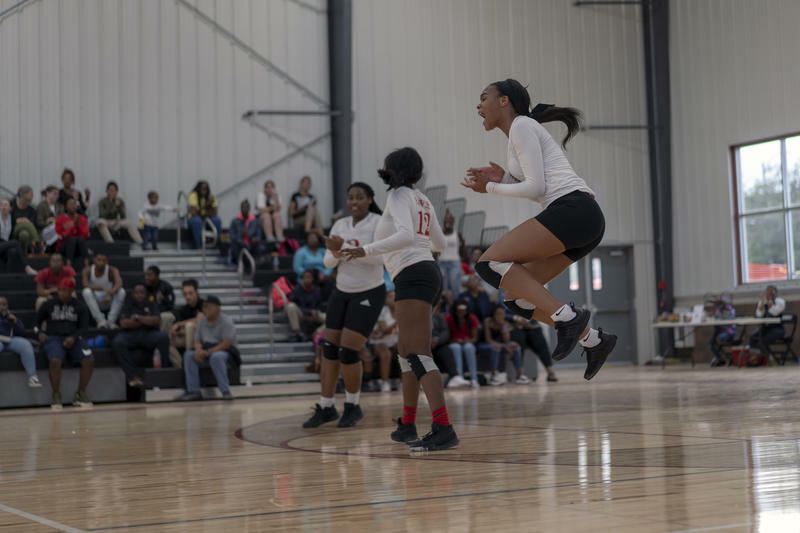 We’ve been waiting — gosh, since we opened we’ve wanted a gym,” said the high school girls’ volleyball coach Tommy Devitt.